Israeli soldiers abducted, on Sunday at dawn, the secretary of Fateh Movement in occupied East Jerusalem, and a Palestinian teen in the al-Khader town, south of Bethlehem, in the West Bank. 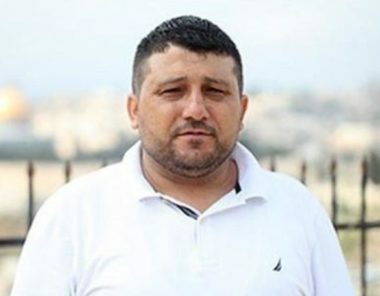 Media sources in Jerusalem said the soldiers invaded and ransacked the home of Fateh Movement’s secretary in the city, Shadi Mitwer, and abducted him, before moving him to an interrogation facility. It is worth mentioning that the Palestinian, along with the Governor of Jerusalem, Adnan Gheith, have been frequently abducted and detained by Israel. They are among the dozens of Palestinians, who have recently been abducted by the army, and most of them are still imprisoned, as part of Israel’s attempts to prevent the Palestinians from holding political activities in the occupied city, and for protesting the escalating Israeli violations against the Al-Aqsa Mosque, and the ongoing assaults targeting them and their homes. In related news, the soldiers abducted Mohammad Ali Ghneim, 17, from his home in the al-Khader town, south of Bethlehem.